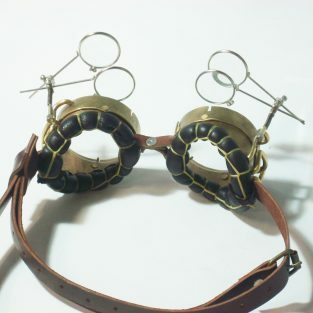 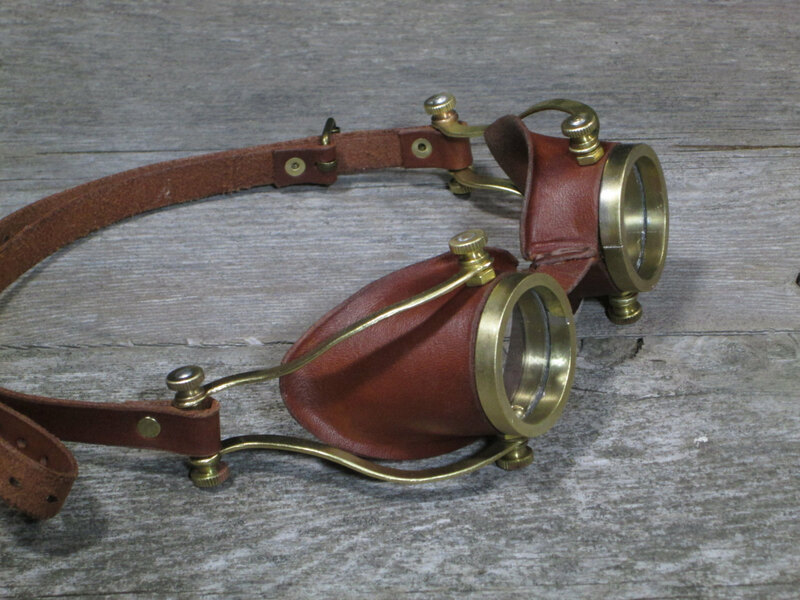 Get this pair of Brown Leather Steampunk Goggles in Brass when you’re ready to LARP, Victorian Cosplay Style! 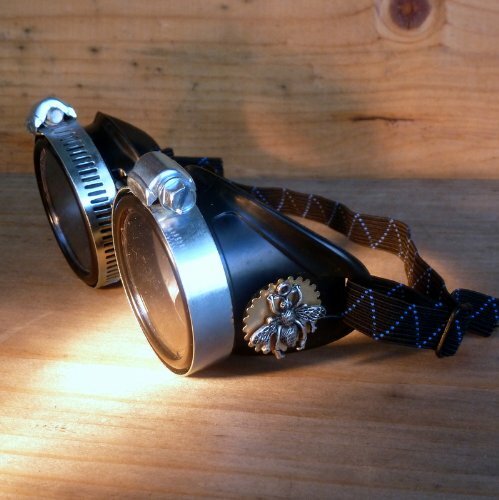 They’re sure to delight the crowds at your next steampunk festival or event. 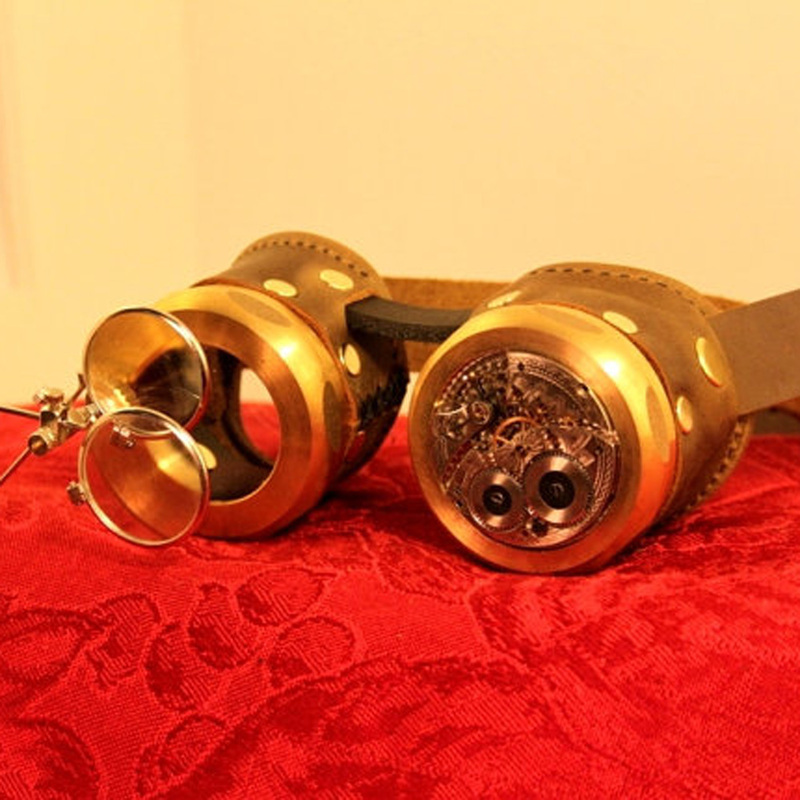 The brass arms around each eye piece gives them a rare accent not seen on many a pair of gogglery doodads. 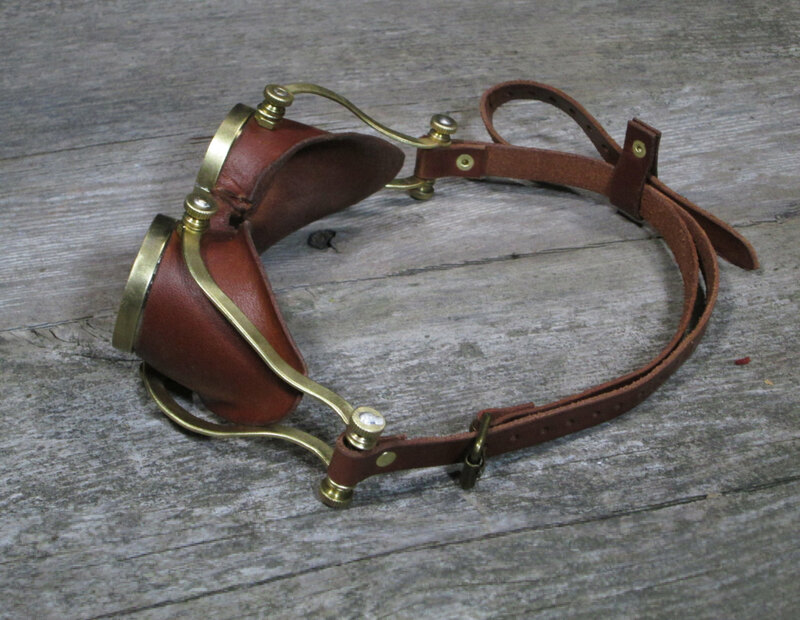 Features side hinges on eye cups. 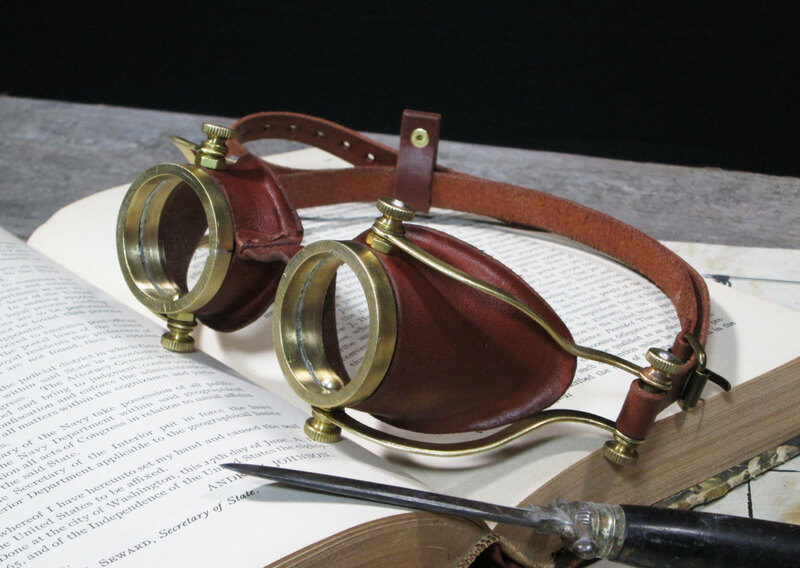 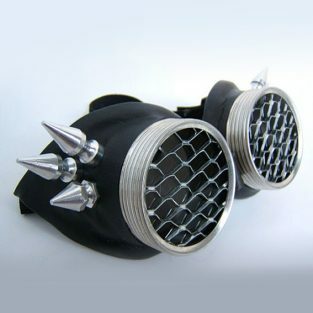 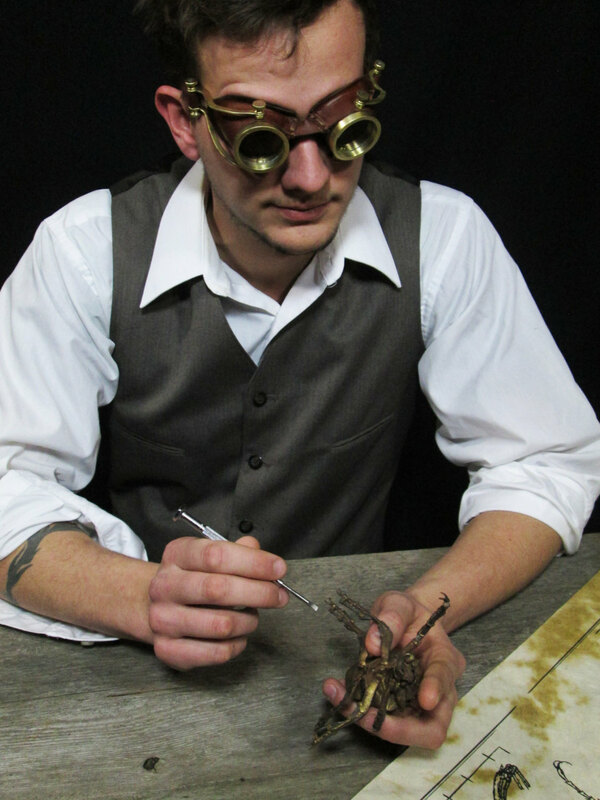 These brown leather steampunk goggles are a unique design that you won’t find anywhere else. 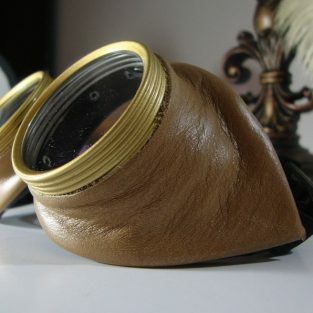 The brass color of the side hinges contrasts with the brown leather just enough to make them stand out from other goggles with a touch of mechanics to the design. 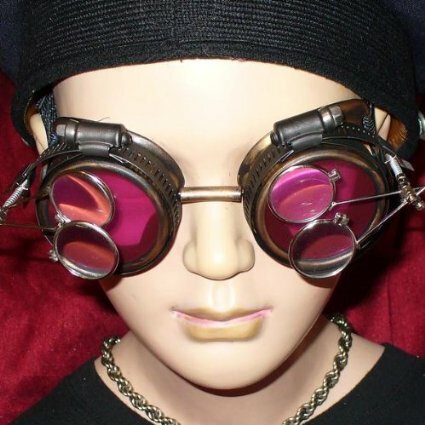 NOTE: Lenses are mounted into the frames permanently. 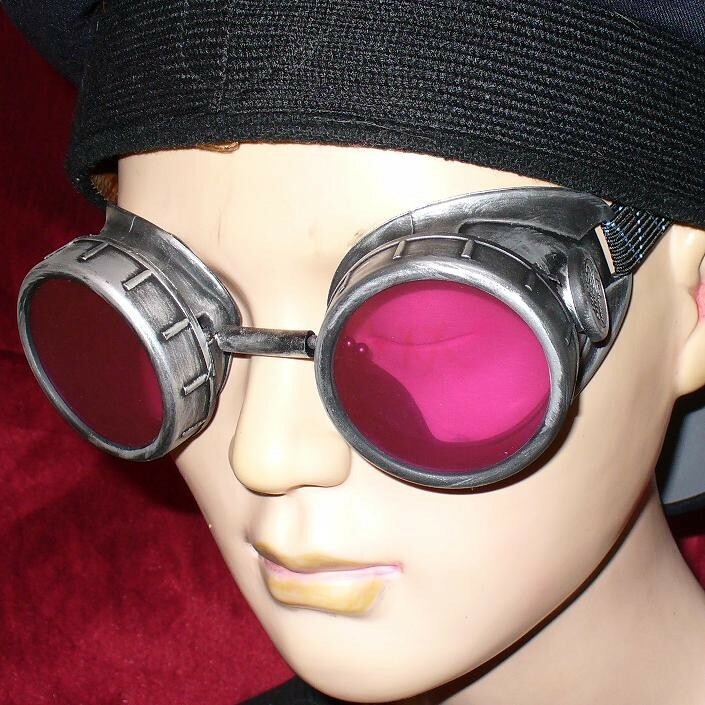 Color lens replacements are not compatible.